It took just six seconds for young Red Wing upstart Andreas Athanasiou to get the winning goal in overtime against the Senators Wednesday night. And for that, he can thank the best defenseman in hockey. 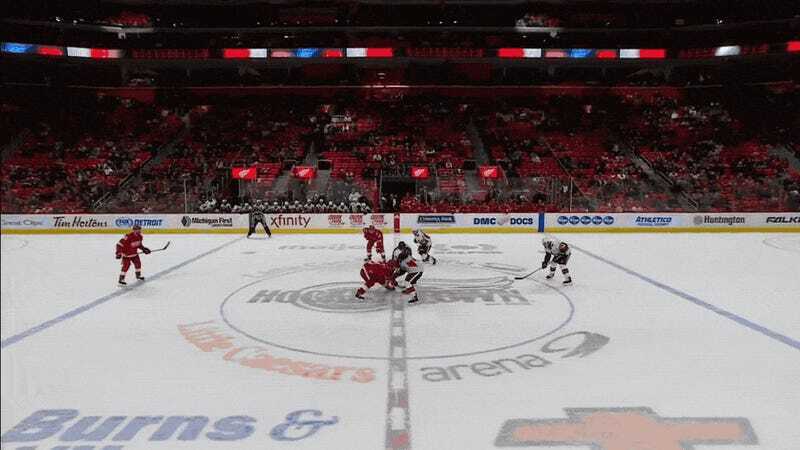 Ottawa’s Erik Karlsson was a little lackadaisical with the extra period’s opening faceoff, which his team won, and he quickly found himself swarmed by both Dylan Larkin and Athanasiou. Athanasiou stole the puck, hit the turbo boost, and backhanded his winner past Craig Anderson, leaving the two-time Norris trophy winner helplessly flailing with his stick behind him, then hanging his head in disgrace. If only we still had Vine for these moments.